The idea of a dry St. Patrick’s Day celebration seems absolutely ridiculous, but that’s exactly what the officials of Hoboken, New Jersey have tried to accomplish with their annual parade. Public intoxication has grown to such extremes for the event that a zero tolerance policy was enacted. To the Sip Advisor, it all just sounds like a challenge: to get as wasted as possible, while avoiding the establishment and their exorbitant ($2,000 minimum) fines. It would be like the alcoholic version of Ferris Bueller’s Day Off! In the otherwise non-descript town of O’Neill, Nebraska, is the world’s largest shamrock. The massive clover was originally painted in the middle of the road, at the intersection of Route 281 and Highway 20. It has since been reinstalled as coloured concrete, ensuring its prosperity. Founded by Irish national, John O’Neill, the place celebrates in some unique ways, including a Children’s Literature Festival, the reading of Dr. Seuss’s ‘Green Eggs and Ham,’ and a massive fish fry. This one may be hard for the average person to achieve, as I’m sure you need some serious credentials just to be launched into space. Canadian astronaut Chris Hadfield didn’t let floating high above the world, aboard the International Space Station in 2013, disrupt his celebration of St. Patrick’s Day. Hadfield decked himself out in green, performed the song “Danny Boy,” and snapped some photos of Ireland from outside the earth’s atmosphere. The island of Montserrat – part of the West Indies – is known as the “Emerald Island of the Caribbean.” It is one of the few places in the world, outside of Ireland, where St. Patrick’s Day is a holiday (Newfoundland and Labrador in Canada, being the others). How did this Caribbean nation become a hot bed of Irish activity and celebration? Well, it was established by Irish refugees, duh! If you visit, your passport will be stamped with a shamrock and you can celebrate a weeklong St. Patrick’s Day festival with a calypso flavour. 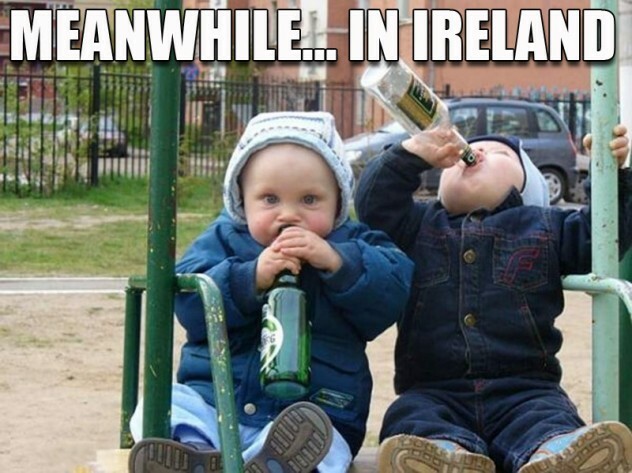 While the St. Patrick’s Day parade I witnessed in Dublin wasn’t the most thrilling thing I’ve ever seen, it did provide a taste of Irish culture. The festivities in Dripsey, Cork, may have been more up my alley, though. Dripsey is home to the shortest St. Patrick’s Day parade in the world, stretching just 100 yards and starting from one of the town’s pubs, while finishing at the other. That means, you can grab a pint of Guinness at the start and be ready for another round at the finish! 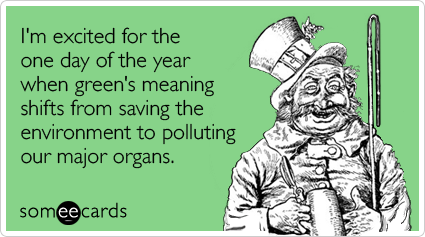 Where have you celebrated St. Patrick’s Day? If you’ve hit any of the preceding places, let the Sip Advsior know how it was. You never know where our next travel plans will take us! I was hoping to rim the glass with Lucky Charms, but I couldn’t justify shelling out $7 for a box of cereal that I don’t really need. 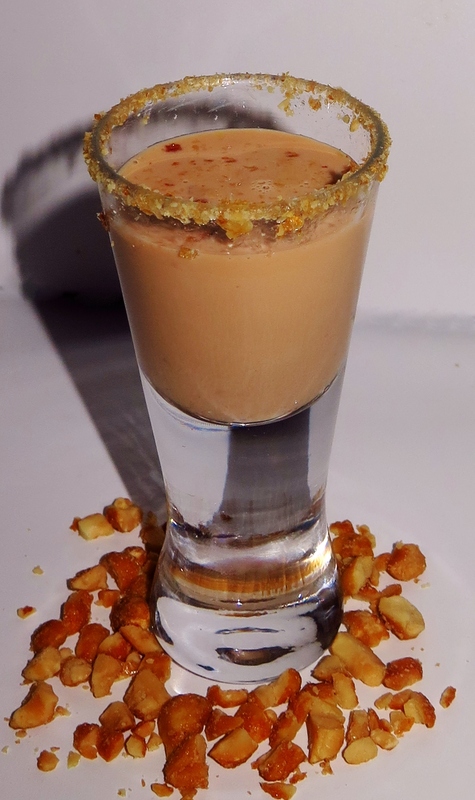 The shot was pretty good and any lover of nutty flavours will enjoy it. Best of all, I got to enjoy a ton of Honey Roasted Peanuts in the process of making the shooter! Did you know that a number of American states have an official beverage? That’s right, on top of having state flowers and birds, more than half of the country’s states have gone to the trouble of selecting an official drink as well. While an overwhelming number of those states have taken the easy and politically correct route of naming milk as their bevvy of choice, here are the states that chose to shake things up and ruffle some feathers (of birds… hopefully roughly… stupid birds). 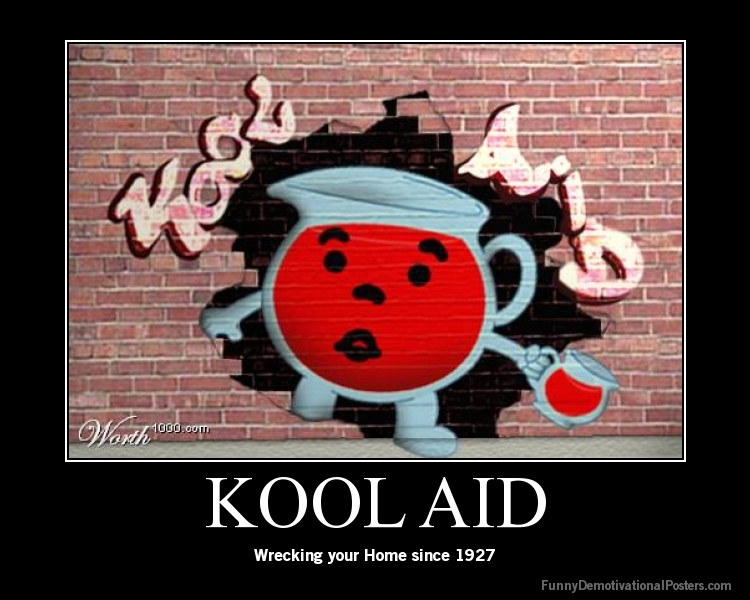 Nebraska lamed out a little by also choosing milk as their official beverage, but they did select Kool-Aid as their state soft drink. When I was a little sipper, I knew I was destined for a life of mixology thanks to the experiments I conducted with Kool-Aid. I mixed it with a number of ingredients, searching for the next great recipe. Pepsi and Kool-Aid, or as I called it, Kontaminated Kool-Aid, provided my most favourable results. How awesome would it be to live in a place that’s official drink was freakin’ Whiskey?! I must admit, though, I’m a little surprised that Alabama didn’t go with Moonshine as their most famous liquid offering, but I guess they had to play a little nice with the process. Good on ya, Alabama! I guess the fine folks of Massachusetts have some serious urinary issues if they’ve chosen Cranberry Juice as their official drink. Hey, whatever keeps them healthy and happy. Cranberry Juice does factor into a lot of cocktails, so perhaps they were onto something when choosing this mixer. 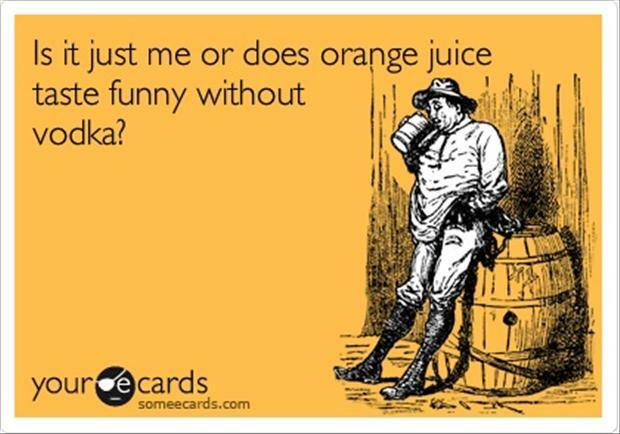 This is a bit of a no-brainer as Florida is renowned for their Orange Juice. I wonder if O.J. Simpson was on hand for the ceremony making the juice the official beverage of the state. This would, of course, be years before his legal troubles, but being born in California he might be partial to that states orange juice history. Rhode Island wanted to follow suit with much of the country, but also tried to remain unique by picking Coffee Milk. I’m supposing this means much of the state runs around with a caffeine buzz leading to insomnia and a rash of Starbucks popping up to capitalize on the movement. My take on coffee and its subsidiaries can be found here. Moxie is Maine’s official soft drink and is made with the bitter tasting gentian root extract. While it is Maine’s state soft drink because creator Dr. Augustin Thompson was born in the state, the drink was actually produced in Massachusetts… I smell a blood feud! How boring of a selection is this!? It’s like it didn’t even try! 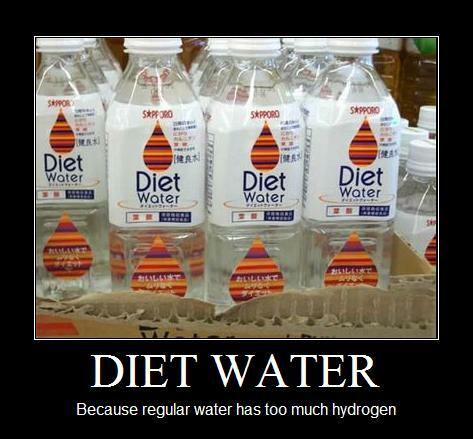 Don’t get me wrong, I love my H2O and whenever I’m not consuming alcohol, I’m downing the clear stuff to balance myself out, but come on… couldn’t they settle on something with even the slightest intrigue? Shame, Indiana… kind of sounds like a cool place to live. An interesting selection, indeed… apparently this decision grew from a student campaign (their teacher wanted to get kids interested in government and show them they have a voice even at their useless age!) and even Facebook page to get the government to make it all official. I’m assuming this could be used in either hot or iced tea, but perhaps I’d cause an international incident for drinking one and not the other. South Carolina is another state that picked milk as its official beverage, but State-Grown Tea is their State Hospitality Beverage… yes, such a thing exists. This kind of reminds me of the Simpsons episode where the town of Shelbyville is forced to worship a turnip tree (once Springfield gets its precious lemon tree back) and the citizens can’t stand eating the vile vegetable. I’m curious as to how many people actually drink the official beverage of their state regularly. P.S. : Tomato Juice is gross! I’m surprised more states haven’t named an official beverage. California could choose wine, given its wonderful wine regions. Washington State could go with Apple Juice thanks to the production industry there. Finally, Michigan could choose motor oil as a nod to being the home of motor vehicle manufacturing. I have to say that this drink tastes an awful lot like Kool-Aid… plus a little bit of the hard stuff! 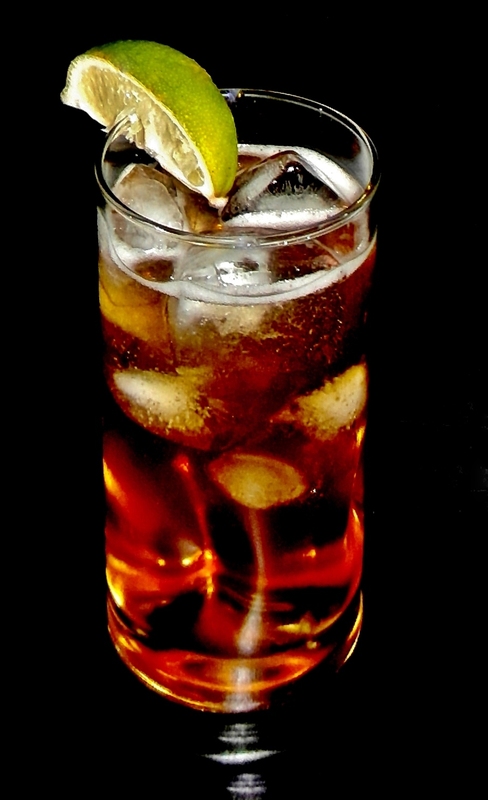 I used Grey Goose Cherry Noir Vodka, which added a nice flavour with the top shelf spirit and all was well… oh yeah!